Strawberry Road: Anything Goes with Shy Violet! Shy Violet is such a sweet image! I may have over-stickled her as her bouquet is a little camouflaged behind all of the glitter! But hey-glittery flowers are cute, right? 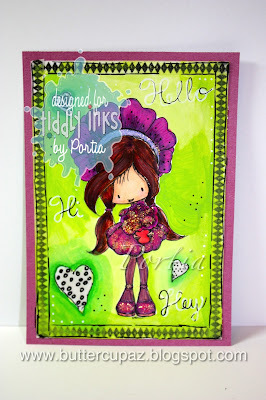 This little card is a creation for the current Anything Goes Challenge at Tiddly Inks! I hope this make inspires you to join in the fun at our challenge blog here! It's a great community of fun-loving crafters you are welcome to join at any time! 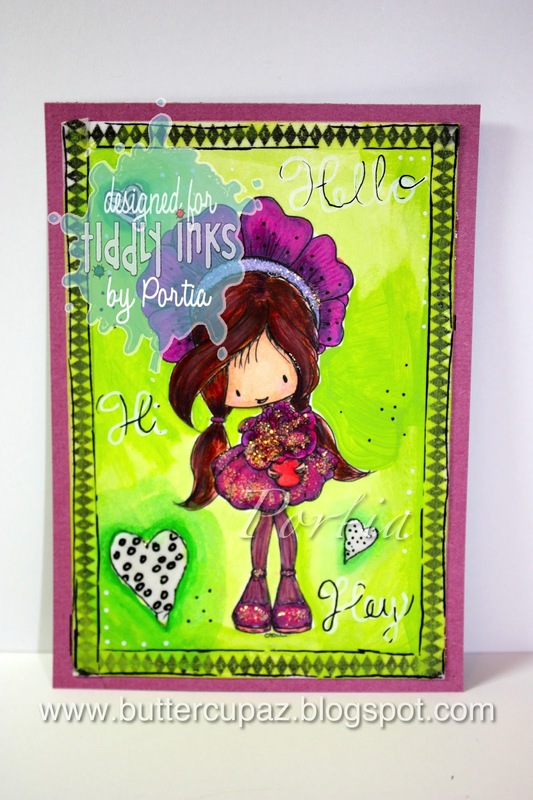 Just be sure to use a Tiddly Ink's image to participate! Thank You so much for blogging by!!! !